It was the first century BC and Gaius Valerius Catullus, with this song, the fifth of a larger collection, invited his beloved Lesbia to kiss him. A hymn of love. 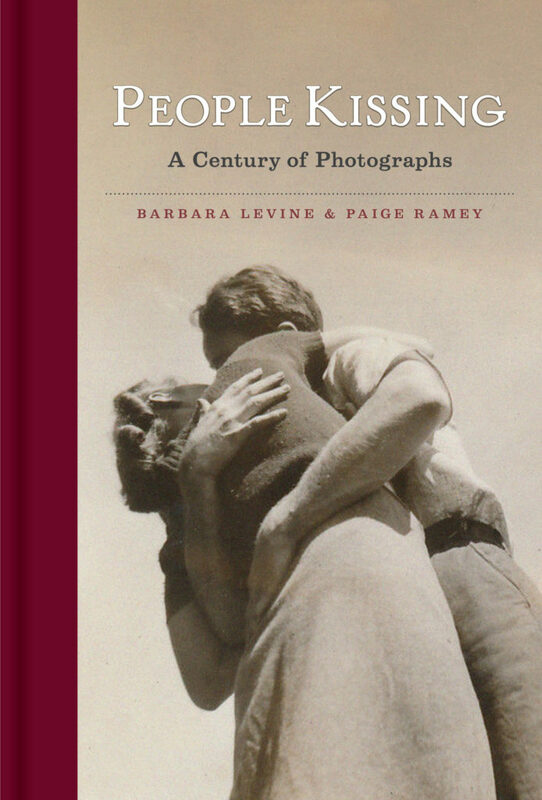 It is here, in this context, that the new book by Barbara Levine and Paige Ramey People Kissing: A Century of Photographs, published by Princeton Architectural Press fits in. Not just a collection of vintage shots: it took six months to select the images from their collection, and even longer to gather them. Behind the pages of this book lies a continuous and constant search that the two authors share: to seek, collect, and preserve vernacular photographs. The images haven’t a signature, no author’s shots, but amateurism dominates, you live only the private dimension, often with familiar scenes of the simplest everyday life. Orphaned, abandoned photographs that Barbara Levine and Paige Ramey bring back to life to immerse us in moments that would have otherwise been unknown to us. Whit this book they reveal the story of a gesture, one of the most common: that of the passionate kiss. 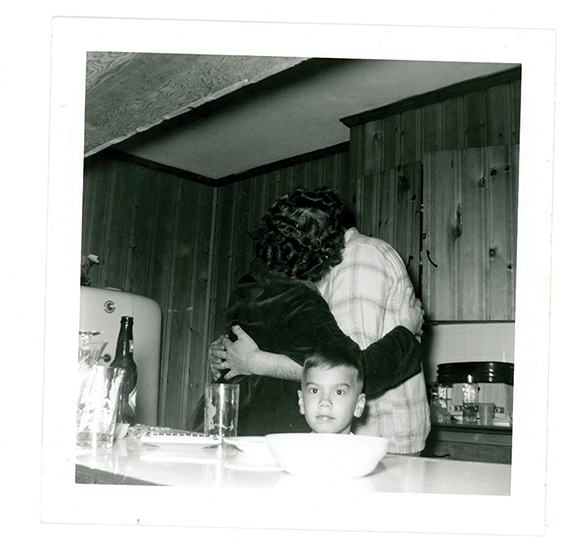 People Kissing: A Century of Photographs is your and Paige Ramey’s new book. How much time did you need to find photos and postcards on this theme? We have a very large collection of vintage vernacular photography and ephemera. We have been collecting for over 25 years! 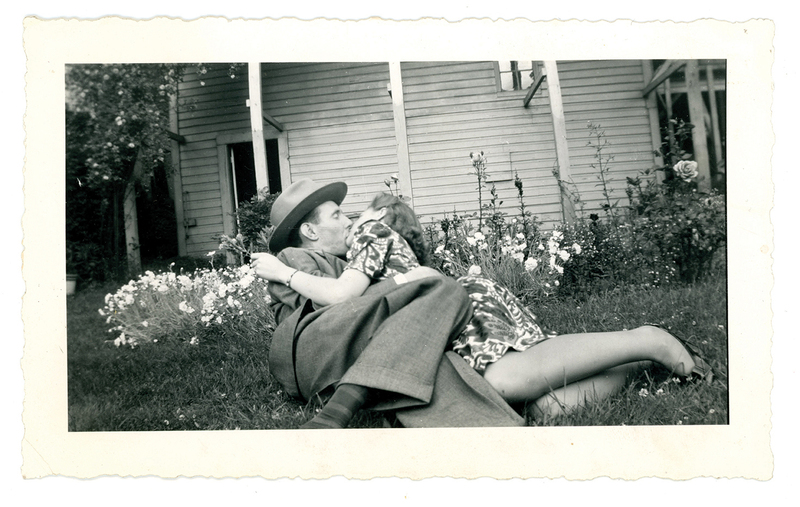 We started to notice how many pictures we had of people kissing in our archive and it seemed like a real jumping off point to look more closely at the relationship between photography and kissing. Once we got going on the idea of doing a book, the first phase of developing the content (choosing the images, sequencing, writing the essay, etc.) took about six months. One of the most famous pictures of a kiss is by Alfred Eisenstaedt, but in your book there are more versions of it. Why did you decide to write about or illustrate this theme? Paige and I collect, preserve and share vintage vernacular photographs. We champion the ‘Photographer Unknown’ and create contexts in which to appreciate orphaned, abandoned and discarded images. We salvage them for closer investigation and give them new life in order to create a more inclusive understanding of photographic history and visual literacy. 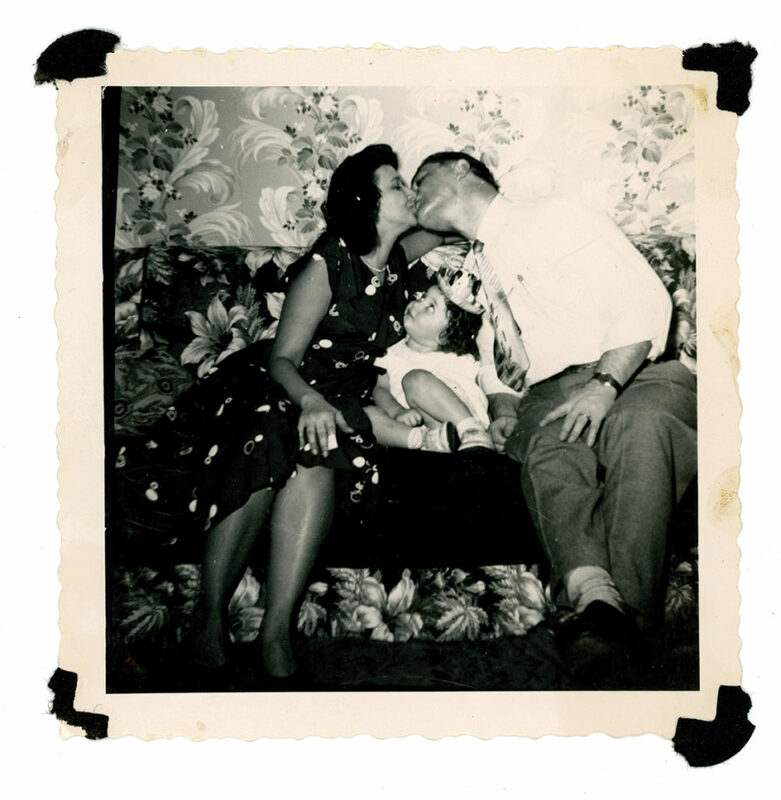 When you look at a found photograph you are activating a story. For example, with kissing photos we immediately start creating a story: Who are they? What do they see in each other? Is it mutual? Are they kissing the way I kiss, or want to be kissed? Who was the invisible photographer who had access to the intimate moment? From the perspective of how we look at photographs and the history of photography, the relationship between photography and people kissing is complex and irresistible. It is impossible not to look at a photo of people kissing! 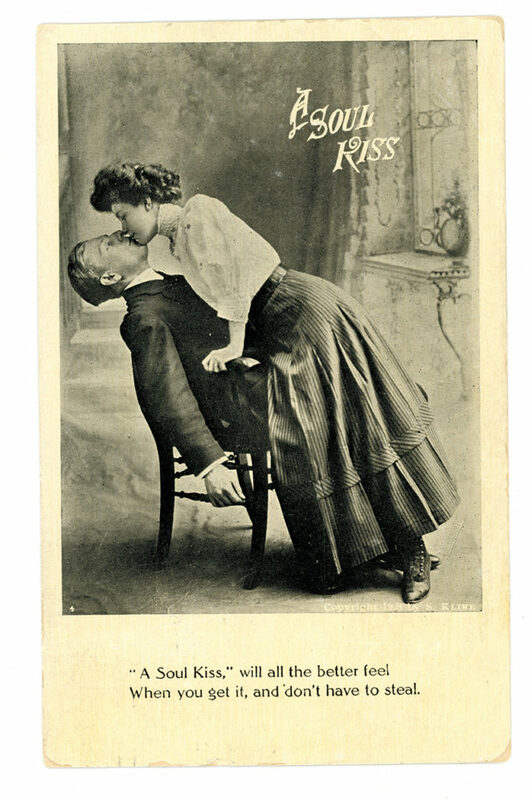 The book about kissing isn’t your first book of vernacular photography. What are your main sources for new images: antique markets, the Internet or other? 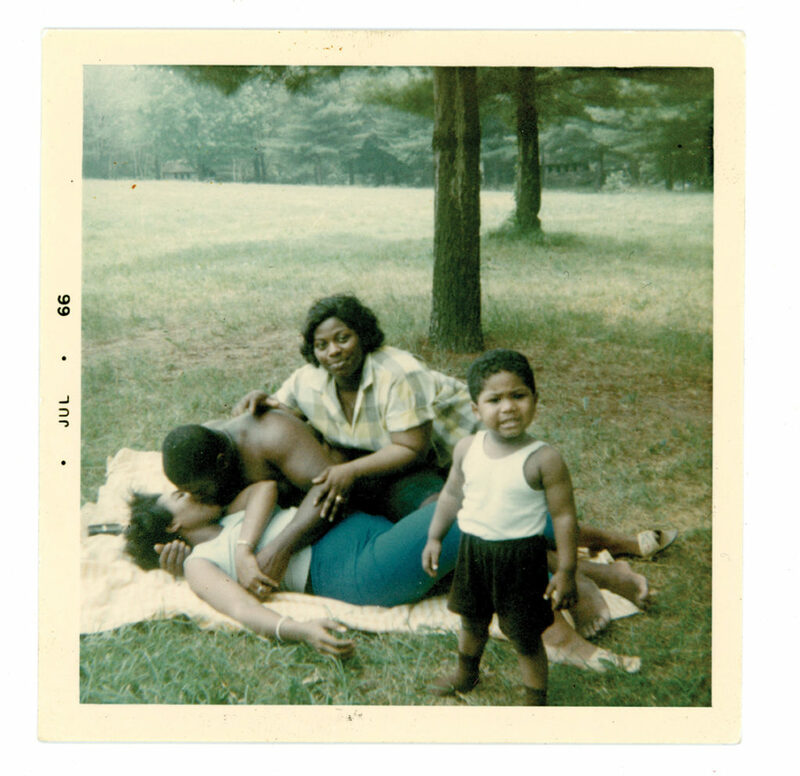 There is a sea of anonymous photographs around us – vintage snapshots and the like that can be found at flea markets, in giveaway piles, on eBay, etc. Often people who know what we are working on will bring us photos and sometimes when people are downsizing or they have inherited family photos and don’t know what to do with them will send us boxes of pictures. Most people consider them worthless. Naturally, we don’t feel that way! You’ re a specialist in vernacular photography and with Paige Ramey you founded PROJECT B in 2000. What do these kinds of photos represent for you? The best vernacular photographs exert a power to fascinate through composition, subject matter and mystery. They transcend time and place to speak to contemporary questions and sensibilities. Besides books, exhibitions, and collaborations with various artistes do you have any new future projects? We want to continue to make books about the relationship people have to photography and we have in the works a large collection project with the International Center of Photography in 2021. You love vernacular photography, but you also use Instagram in addition to exhibitions and books. Do you think that this is important to promote your work? I am always looking for new projects and opportunities and Instagram is great way to share images from my collection and engage with others about the work I do. You are photo collage artist, vernacular photography collector, curator and author. Is that what you dreamed of being when you grew up? My first dream was to be a photographer but after art school I instead went on to get an advanced degree in Museology and for many years after I worked in art museums. People Kissing: A Century of Photographs by Barbara Levine and Paige Ramey (Princeton Architectural Press). Barbara Levine is a collector, artist and curator specializing in vernacular photography and unusual collections. 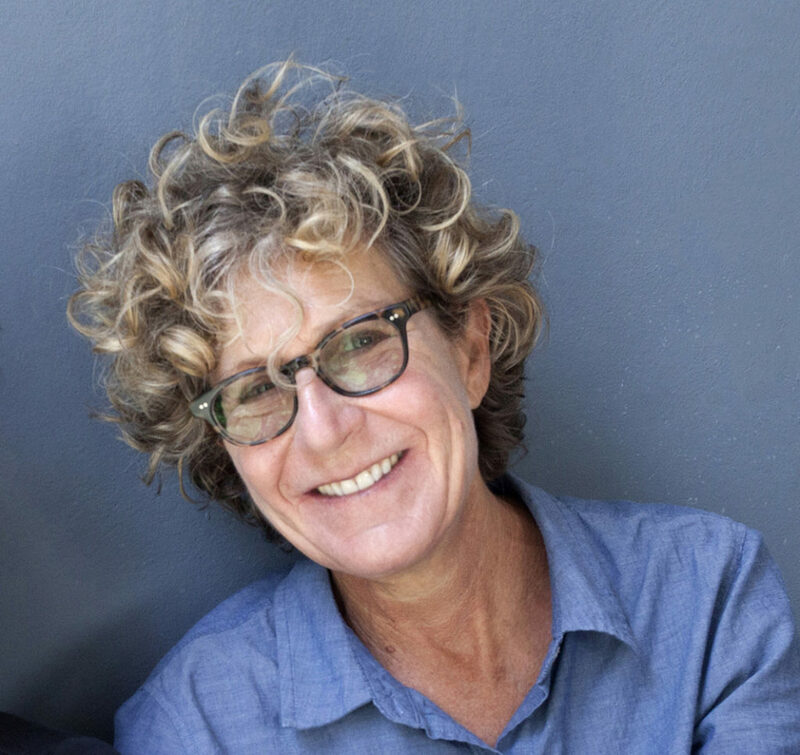 She runs Project B, an archive and collaborative curatorial venture and is the author of Camera Era, Finding Frida Kahlo, Around the World: the Grand Tour in Photo Album and Snapshot Chronicles: Inventing the American Photo Album. Her website is www.projectB.com. Yourpictureditor. We are an international network of photo editors and experts in visual communication. Our activities are photo & video research, copyrights management, portfolio editing, photo research and production for social media, support for photo-projects. Through this Blog we deepen the themes that are at the heart of the photographic scene, talking with the main players and participating in the dissemination of photographic culture. Need support for your photographic projects? Get in touch. We are an independent and international network of photo editors. We are great at finding the right picture. Our skills are: photo editing, picture & video researching, social visual management, copyright and permission clearances, producing and commissioning photography. We review photographers portfolios and are happy to help them develop their work. This is our blog.